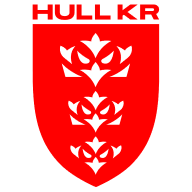 Hull KR maintained their 100 per cent record in the Qualifiers with a 48-4 victory over an indisciplined Bradford at the KC Lightstream Stadium. The rampant Robins ran in 10 tries, with wing Kieran Dixon scoring four as they eased to a fifth successive victory. 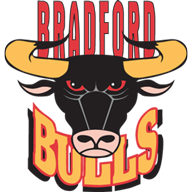 Bradford had Danny Williams and Epalahame Lauaki sent to the sin bin at either end of the first half and conceded 14 points while down to 12 men, while their tiring defence was exposed by the hosts after the restart. The only Championship side to beat Super League opposition in the Qualifiers, Bradford started brightly through Williams, but the wing was needlessly yellow-carded on six minutes when he prevented Dixon from taking a quick restart. A poor knock-on from James Mendeika gave Hull KR a decent attacking position and Chisholm's looping pass found Mantellato, who superbly finished in the corner for an unconverted try. Mendeika redeemed himself on 25 minutes when quick hands out wide by Adrian Purtell and Danny Addy sent the full-back over, with Addy failing to add the extras. Chris Chester's men hit back with two tries in three minutes on the half-hour. Mantellato produced another brilliant finish after good work by Maurice Blair and Shaun Lunt, and Dixon then got in on the act by beating three defenders to score. Lauaki was fortunate to not see red for making contact with the eyes of Dixon on 38 minutes, referee Ben Thaler brandishing a yellow card, and the home side scored two further tries while he was in the bin. Dixon grabbed his second two minutes after the restart after Rovers created an overlap on the right wing, before Chisholm raced through a gaping hole in the Bradford defence to make it 20-4. Having missed four difficult kicks, Mantellato added the extras at the fifth attempt, and he also converted Sio's try on 56 minutes following another knock-on by Mendeika under a high ball. Welham scythed through the Bradford defence to score his 100th try for Rovers on the hour mark, and a period of pressure from the visitors went unrewarded as Mendeika was inches away from getting onto Williams' kick. Graeme Horne scored Rovers' eighth try after superb acrobatics from Matthew Marsh kept Dixon's kick in play, and Dixon completed his hat-trick with seven minutes remaining. Dixon then scored his sixth try in two matches from the final play, using his pace to cross in the right corner, and he also kicked the conversion to complete a comfortable outing for Chris Chester's men.